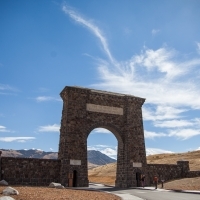 An all-season haven for outdoor enthusiasts, Gardiner provides the only entrance into Yellowstone National Park that remains open to wheeled-vehicles year-round. This makes Gardiner the perfect base camp for park exploration, especially in the winter months, when wildlife viewing is at its peak and cross-country skiing and snowshoeing are calling. During the summer months, visit the breathtaking Grand Canyon of the Yellowstone by way of the scenic Dunraven Pass, take a zip line tour, explore the great outdoors by horseback or visit one of the oldest fly shops and guiding operations in the Paradise Valley.